The inspiration for RCAD 343 came from an order I got from My Favorite Things. I just love the Pure Innocent images. This time I even tried s couple of the dies. They were having a wonderful sale and I just couldn't resist. I made this one into a shaker card. Here is the quick process video showing what I did. I do love to read your comments. Oh Linda this is such a delight to see I love that cute image and the colours a gorgeous make. 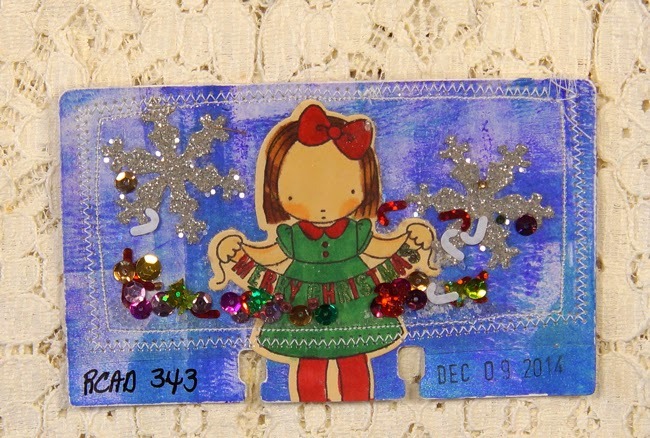 Loving the sequins and the snowflakes!!!! !